While the Xbox 360 continues to outsell its competitors, console gaming revenues have been consistently falling with the rise in mobile gaming. However, all signs currently point toward Microsoft refreshing the Xbox brand, with an Xbox 720 release date penned for sometime during 2013. 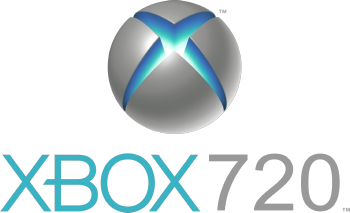 Leaked documents have indicated that the Xbox 720, like the Xbox 360 before it, aspires to act as the centre-point for living room entertainment. The Xbox 720 will be fitted out with Blu-Ray support, true 1080p video and native 3D output, positioning itself as both the gaming and multimedia hub of the modern household. There’s no doubt that the Xbox 720 will take advantage of Kinect technology, a huge success for Microsoft, allowing implementation of more advanced physical and gesture control elements into Xbox 720 games. It’s also likely that users will be able to use the recently released Microsoft Surface as a media remote, in place of the Xbox 720 controller. The latest stats from NPD group show that Microsoft has been the leading console for the past 15 months running, selling over 270,000 units in October alone, but there is no denying that the console market as a whole is suffering a severe slowdown. However, this holiday season looks set to offer a timely boost to both console and game sales with the release of several blockbuster titles. The release of Halo 4, Assassin’s Creed III and Call of Duty: Black Ops II should, if nothing else, help to keep gamers busy during the wait for the next-generation Xbox 720.